← Am I an Expert? Reflecting is a key element of learning. Asking a question, constructing an answer, putting your response ‘out there’ for others to review, then taking it all and reflecting on the process and product – that’s the crux of learning. When I asked myself the question about being an expert, I never suspected that my response would shift. John Hattie outlines the difference between expert and experienced teachers in this video. Do I understand my impact in the classroom? Do I live with the messiness or ‘staccato’ of active learning? Do I look for evidence when teaching? Is my work open and does it build trust? These are good reflective questions to ask when examining my own teaching practice. Then my reflection went to this summary from the UDL (Universal Design for Learning:CAST) perspective. 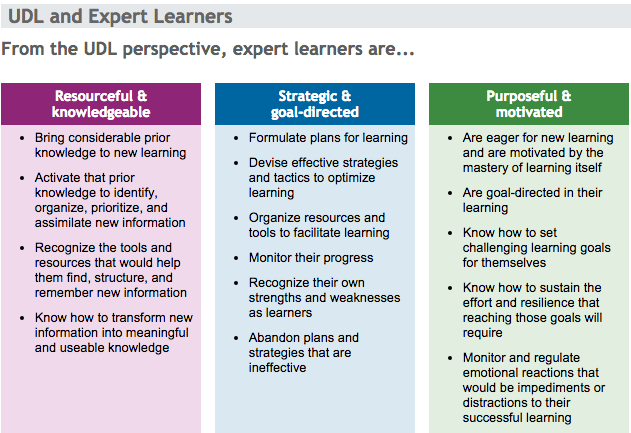 Expert learners are resourceful & knowledgeable, strategic & goal directed, as well as purposeful & motivated. These points can focus on my work as a teacher/learner and the work that I do with students. Teaching is a ‘Way of Being’ – Part 2: So How do We Develop Expert Teachers? Simple yet complex idea! Experts become experts by taking on challenges that will change themselves and those around them. Becoming an expert requires a teacher to work from a change perspective (moving forward or upward), incorpate a ‘valuing of the act of exploration’, and a learning community involved in a supportive recursive process of listening, designing and thinking (Tschannen-Moran, B. & Tschannen-Moran, M., 2010). Developing expert teachers requires a shift in the locus of control for teaching/learning, a renewal of teacher/learner facilitation and agency, and fundamentally raising the awareness of each individual teacher/learner within a community of learners/teachers. 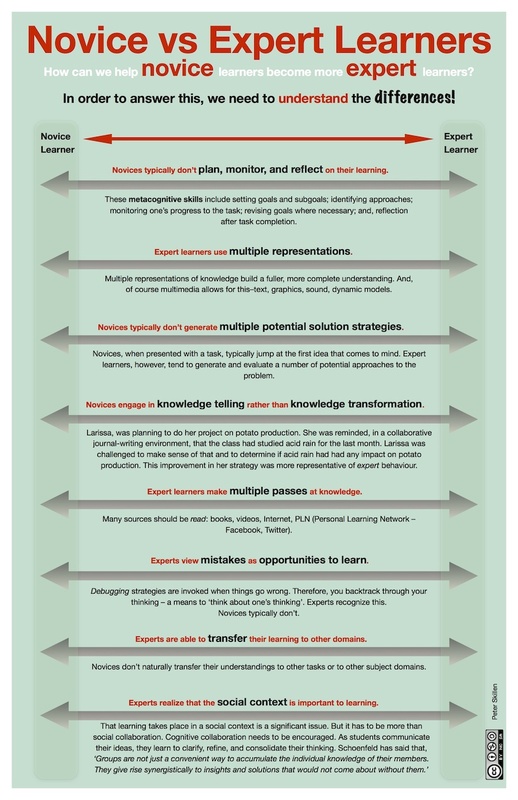 Skillen further explores the notion of expert learners using an infographic that is helpful in focusing attention to key details and attributes found in those who are ‘expert’ students. Can this also be done for teachers, especially those who are lead learners or experienced inquirers? I think so. Expert teachers recursively plan, monitor and reflect. They apply multiple representations of how students learn. Expert teachers generate multiple entry points to problems or learning challenges. Expert teachers enlist in knowledge transformation while relying on a multitude of sources and resources in both physical and digital spaces. Expert teachers see opportunities in errors or failures. They transfer skills and understandings to a variety of contexts, but don’t rely on these skills without being open to change. Expert teachers know and engage in the social contexts that are important for themselves and their students, but know when individual context or disconnecting from social networks is necessary. So, getting back to my original question – am I an expert? I think I am, maybe more so now than at the outset of this inquiry, thanks to insights and reflections gained from other experts in examining expertise. I think there are more teachers who should consider themselves as experts in the field – their expertise speaks for itself! Who are the experts you turn to? What do you learn from these experts and how do they increase your expertise? Update (09/19/2015): This blog post is now also available in Spanish, thanks to Angela Novoa, whom I met as a classmate in the University of British Columbia’s Masters of Educational Technology program. Her work with teachers and educators in Santiago, Chile models the evidence for expert teaching. Here is the link to the Spanish translation. 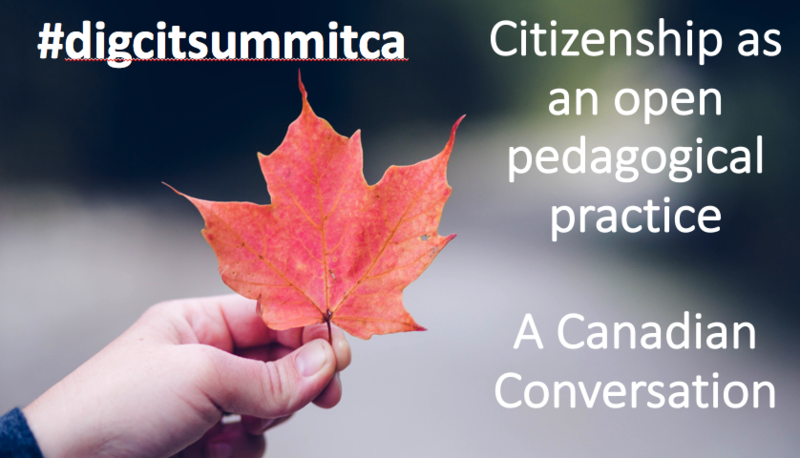 Quote | This entry was posted in Teaching, Together and tagged agency, appreciative inquiry, CAST, change model, evocative coaching, experts, John Hattie, learners, Peter Skillen, UDL. Bookmark the permalink. Thank you for such a lovely reference. I am glad you found the post useful. I love struggling with these ideas and look forward to further conversations! You continue to be a catalyst and provocateur for ideas and connections. Keep sharing your struggles!